King Sang Hong offers a full range of colorants for plastic applications. We provide colorants for PET, acrylic, PE, ABS and nylon applications. We also provide color matching services. Please contact us for further details. King Sang Hong offers full range of pigments for PE application. With more than sixty years of color matching experience, we can provide fast color matching service for you requirements. * Color shows on your computer may varies slightly from the actual products we suggest testing for suitability before you buy from us. 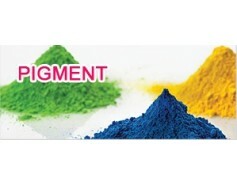 King Sang Hong offers full range of pigments for PS application. With more than sixty years of color matching experience, we can provide fast color matching service for you requirements. King Sang Hong offers wide range of solvent dyes. They are suitable for candles, petroleum products, color coating for stamping foil and colorants for PS and acrylic. Call us to learn more its wide application. King Sang Hong offers full range of high temp. resistants colorants for ABS and nylon application. The temp. resistant is about 300℃.